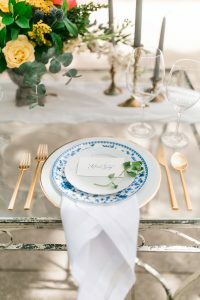 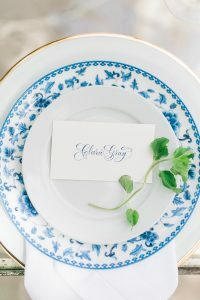 Photographer friend in the DFW area, Jessica Shae, asked me to create several wedding pieces for her English-themed wedding shoot. 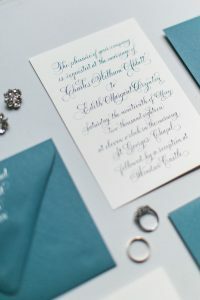 I used soft white card stock with a custom blue ink to match dusty blue envelopes. The envelopes were written in a creamy white ink. 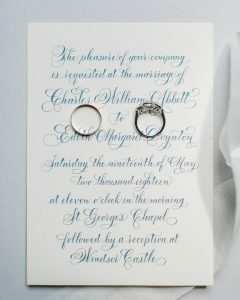 The lettering style I chose was very traditional. 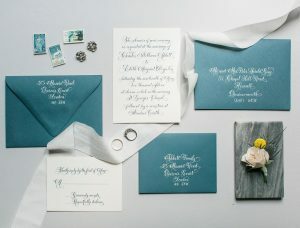 This was such fun, and she captured the calligraphy beautifully!